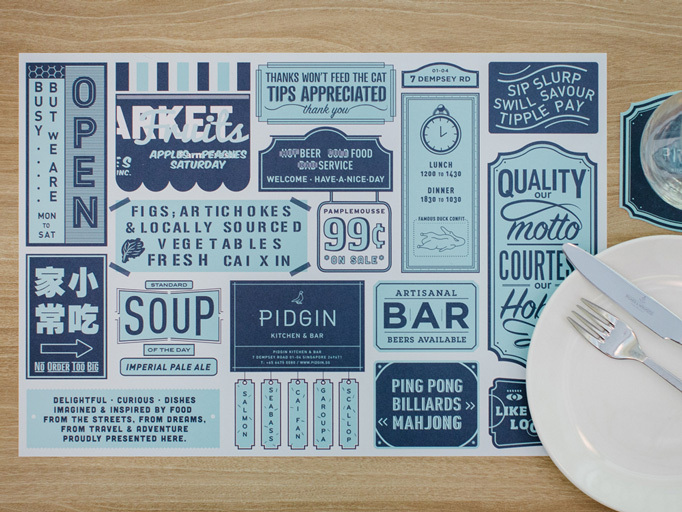 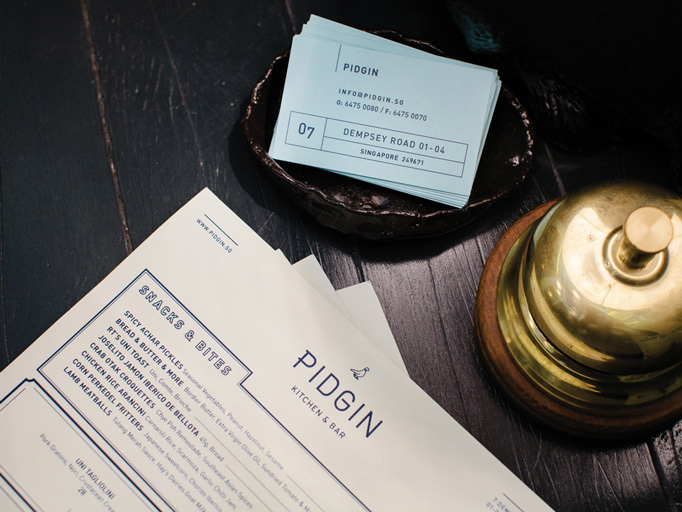 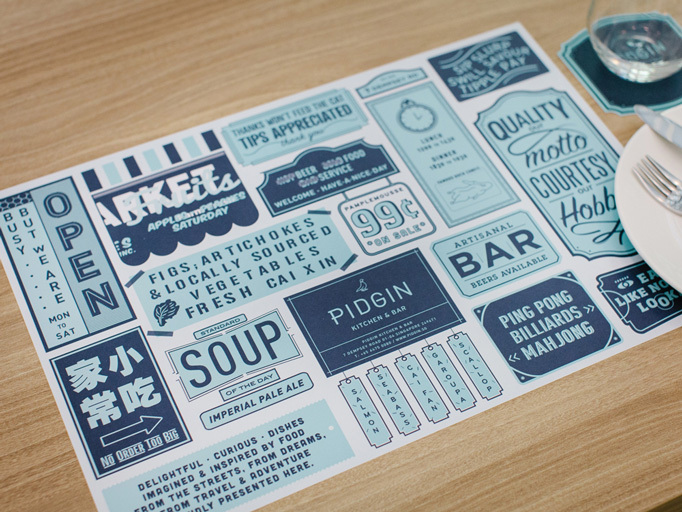 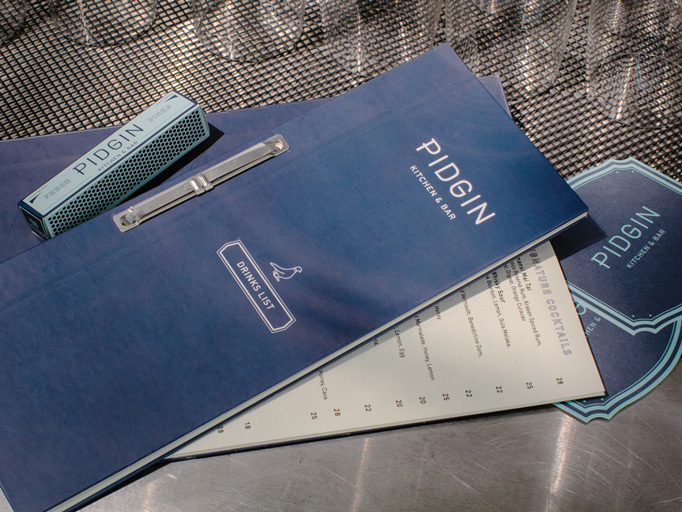 Keeping with the motto “no fun comes out of the ordinary”, the menus for Pidgin Kitchen & Bar are refreshingly bold, playful, and fun. 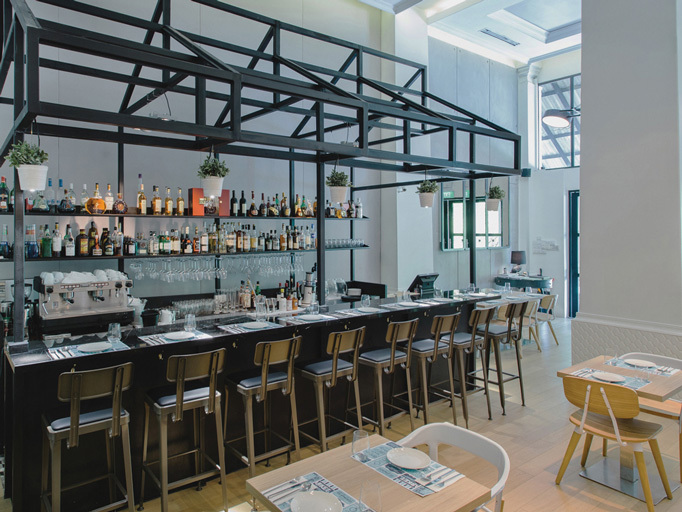 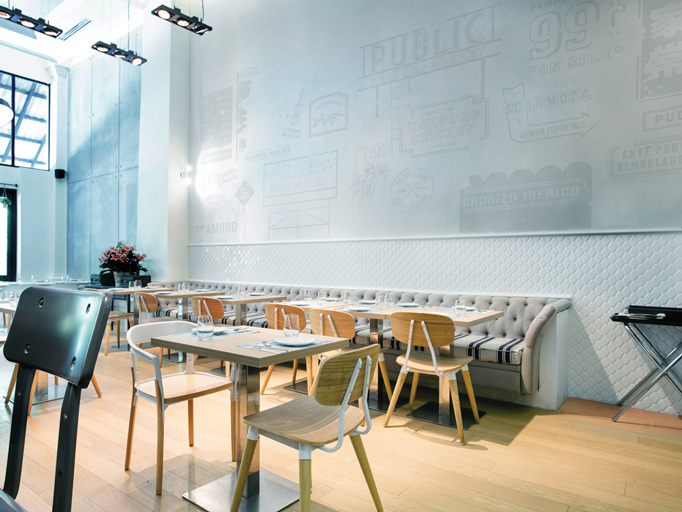 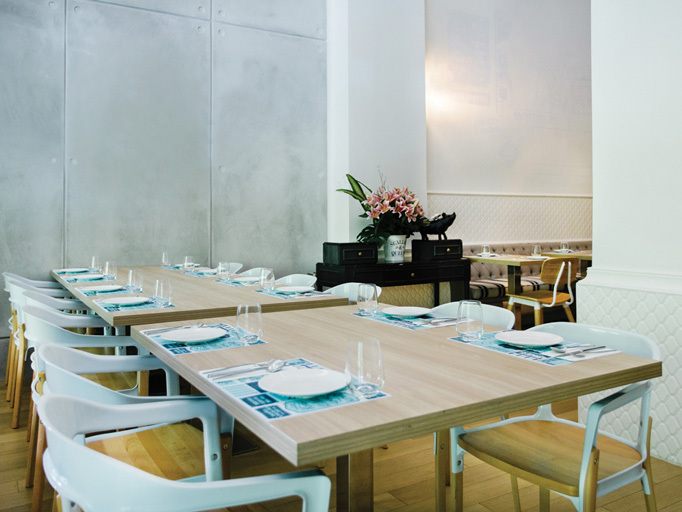 The contemporary update of classic dinner design elements including the awning and signage creates a connection to past experiences without feeling retro or nostalgic. 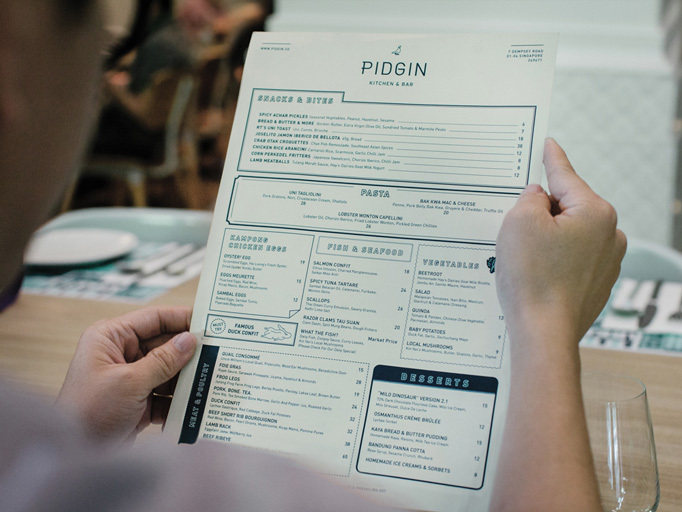 Visit Pidgin Kitchen & Bar.